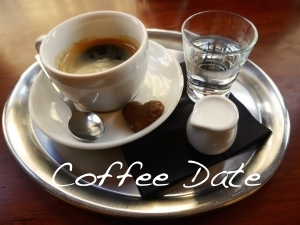 Hello and welcome to another Friday Coffee Date where I answer questions from my readers. I received some great questions this week and can’t wait to dig in. So here we go! Rowen Mar is the main character in my epic fantasy Follower of the Word series (to find out more, go to Daughter of Light, the first book). I give hints about Rowen’s age, the fact that other women her age have already married (bonded) and had children, but I don’t come out and say her age. Rowen is about twenty-two years old. In a society like this one, any woman over twenty and still unmarried would be considered strange and on her way to spinsterhood. Thanks, Maegen, for the great question! When I’m writing a rough draft, I don’t have a set spot. I write everywhere: on my bed, on the couch, at a coffee shop, wherever I can find some peace and quiet and my imagination can work. Sometimes I listen to music that puts me into the scene or character. And if I’m on a deadline, you can find me at Mojo’s (a local coffee place) with a big pot of tea and ear buds in. Tea and music help me really focus in on my writing, and I force myself to sit there and write until the teapot is empty.